← Does Jesus stand up to war for his remnant, or does Michael? Everything was choreographed in ancient times for the end times. It was all recorded within our Mother Yahweh’s Word to mankind. Look to the past to see the future. 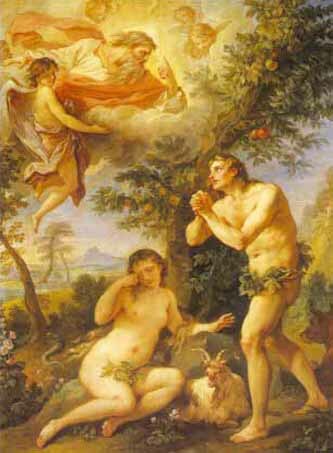 The Sacred Garden of Eden. What has been will occur again. Where does the concept of the RAPTURE originate from? The EXODUS from Egypt. Dictionary: “exodus >noun a mass departure of people, especially emigrants. -ORIGIN Greek exodos, from hodos ‘way’.” A MASS DEPARTURE. You must depart from where you presently reside (this planet) to receive the PROMISE Yahweh has declared belongs to Her Remnant. Dictionary: “emigrant >noun a person who emigrates.” Emigrates for what reason? Dictionary: “emigrate >verb leave one’s own country in order to settle permanently in another. A permanent move from one place to another. The move we speak of is to the Kingdom of Christ Jesus. But even so, Yahweh owns all things in Her creation, so, this old earth will be renewed and again overtaken by the Kingdom of Christ as it merges with the spiritual earth and is again transformed into a paradise planet for harmonious habitation. But first renovation must be completed, and if you were a renter in a building that was infested with vermin, you would not remain in that building while an exterminator exterminated the infestation of unwelcome pests. You would leave for a time until the building was transformed into a place of orderly and cleansed living conditions once again. Lot and his family were an example of what it took to get them quickly out of a time of judgment that brought with it Yahweh’s Wrath. Holy angelic intervention with those holy deputies leading the hand-grasping way. Taken by and in hand they were led out of a death dealing situation. To have remained would have meant sharing in the coming Wrath of destruction. Why that was a perilous situation for Lot and his family was twofold. Death as an execution by Yahweh is eternal death for those killed. Secondly, the angels made certain Satan nor his demons interfered in Yahweh’s Will to remove Lot and his family. But mankind has evil tendencies, and so Lot’s wife succumbed without Satan’s interference, and the end result was the same as if Satan had physically turned her head to look back upon her old home place. Will you look back upon this dying society on earth and be caught up in the Wrath of destruction destined for this generation, or will you keep looking forward and exit without looking back when and if your time is allotted to leave? What is the door the Word speaks of? It is the exit out of a doomed world. Sin, not just Satan, is crouching at the door to keep you here where sin is nurtured. Ask yourself: Do you love this world – or perhaps just your Country? If so, you love sin. Sin is the fabric this world is made up of. If it were not true, then Yahweh would not be cleansing this planet just as She did in Noah’s time when him and his family entered the Ark. Noah and his family were not taken in hand by holy angels and led into that sanctioned vessel of safety. But as things progressively became worse on the earth, Lot and his family’s example revealed the urgency of escaping our Creator’s Wrath with hands on guidance. The urgency today is even greater in magnitude. This planet will be literally cleansed with fire. Nothing more than human ashes and bones will be revealed as the spiritual earth and the physical earth are later merged. The bones will be a testament against those that loved a sinful world. Or will you be a new citizen of Christ’s Kingdom? At present, many of you are still foreigners (still trapped in sinful thoughts and ways,) but if you will fully open your eyes, you will recognize the truth of your dire situation. Mastery over your sinful desires and cultivation of your heart towards Yahweh and Christ could be your last chance out of this hell on earth. Numbers 19:2 (“This is the legal statute that the LORD has commanded:…”) because through the study of Her own laws She found a WAY to redeem each of you from sin that carries the penalty of eternal death. Her Sacrifice was great, even greater than Christ Jesus’ Sacrifice, because She was without Her Beloved and only-begotten Son for those days and nights he remained in death – nonexistence where he knew nothing and felt nothing- and I know from personal experience that the Mountain of Zion flowed down tears abundantly until his resurrection (reanimation back to life.) Yahweh suffered then, and She has suffered to a lessor degree since her fallen angelic hosts and mankind fell from Her grace into the crouches of sin. And even Satan, the original first sinner – not the creator of sin, but a willful participant and cultivator of sin- whom fell from perfection as not only a liar, but a betrayer, which made our Mother very sad indeed. She had not betrayed him. But the then Dawn Lucifer, he was so enamored with our Mother that he sought to be exactly like Her, except that his thoughts were twisted, because She never lies and is not deceptive with Her family. But he told a lie and with it carried deception. This made him the opposite of our Grand Creator, and ever since that ill fated day for the Chief Adversary whom became known to us as Satan the Devil (= Adversary to Yahweh’s Throne of Authority and a resister of Her laws) he has been trying to duplicate Her Rule with humankind as his lowly subjects. But to be successful, he has continued to lie and deceive mankind. Yahweh gives free will, but Satan seeks to withhold that from his own family and has spent many many years trying to force his brand of freedom onto a world of people that could not attain peace and harmony even if Satan was out of the picture, and this is why mankind cannot guide its own footsteps. Wouldn’t it have been sad if all of our Mother’s heavenly family had betrayed Her – like Satan whom was the first, and Judas Iscariot betrayed Jesus as the example of betrayal? Who could console our Mother for the Unselfish Sacrifice She made with Her Son? No one. But there was a Prince that took pity and entered our realm, and because of Mother’s tears he vowed to help bring Her reality back into harmony. Now you might understand why his similarities are parallel in likeness with Michael’s. Like him, we of the holy family have all taken an Sacred Oath to our Mother’s Throne and Her Authority, vowing to see this spiritual war to its climax and to continue to render sacred service for eternity. This entry was posted in Angels / Holy Angels, Archangel Michael, Christ Jesus, End Times, Love, Ransom Sacrifice, Wrath, Yahweh and tagged Armageddon, Biblical Times, Christ Jesus, End Times, Judgment, The Bible, Wrath. Bookmark the permalink.